English Russia reports that the beast you see above was designed by an auto enthusiast using 3D modeling software, and then built using a Nissan Maxima chassis,a as well as a source for some parts. 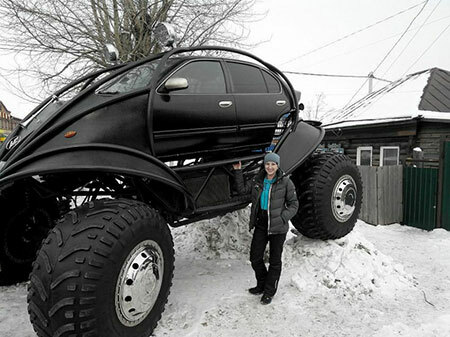 The final product definitely looks like a rugged, all-terrain Batmobile fit for extreme places such as Siberia. Continue reading for more pictures.